"…Maestro Canetti is a very particular and stylistically demanding musician." "…from the very first measure is already inside the music and pulling out all the important melodic fragments and shades for the audience to hear." "…the Maestro is indeed a competent fiddler with excellent intonation , tone, and dynamic range." "When Robert Canetti raises his hands to conduct, it is important to him that the Ensuing music be a joyous , inspiring, Tension-free experience for both the ensemble and audience." "Canetti's motions…are explicit and his enthusiasm contagious." "The Shostakovich Chamber Symphony …delicate, emotional interpretation …"
"The right stile of baroque - brilliant, precise… the real sound… "
music director and conductor “The New Israeli Chamber Ensemble”. Maestro Canetti is on the Jury of major International Violin Competitions and Chairman of "The Canetti International Violin Competition"
Born in Israel , Robert Canetti received his musical education in Israel with Zvi Rottenberg and Rami Shevelov. At the age of 18 he led the Pro-Musica Ensemble conducted by Dalia Atlas. At 20 was one of the leaders and soloist of the Israel Chamber Orchestra under the direction of Gary Bertini. Subsequently received his training at The Juilliard School of Music in New York. Studied with Ivan Galamian and Sally Thomas , as well as The Juilliard Quartet. Played in the New York City Opera; was concertmaster of Cullowee Music Festival in North Carolina; founded the Hebrew Art School String Quartet in New York. In 1978 Mr. Canetti accepted the invitation of the Haifa Symphony Orchestra to return to Israel, and during the next 13 years he acted as concertmaster, soloist and conductor with the orchestra. In 1996, Professor Canetti has been the musical director and organizer of a unique International Music Festival - Music Course and The International Violin Competition.. Once a year renowned music professors from around the world join together with their students for 7 days of intensive training, master classes, chamber groups and concerts. This Music Course is taking place every year in a different country in the world. 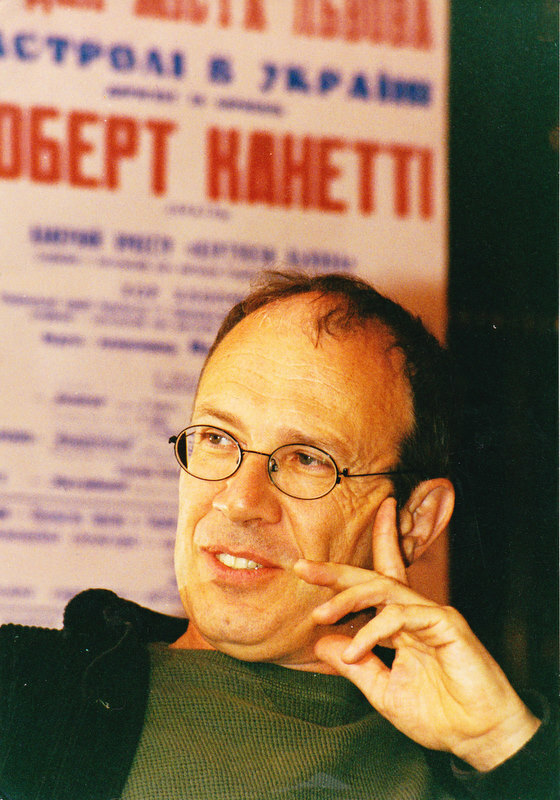 In 1996 Maestro Robert Canetti founded "The New Israeli Chamber Ensemble". This musical group includes the 13 leading string players of the major orchestras in Israel, who joined to work together on a regular basis in the Ensemble. Senior woodwind players join the group when needed. Maestro Canetti is the music director and conductor of the Ensemble, at times playing as soloist. The Ensemble plays a varied repertoire from baroque to contemporary music and has also been invited to perform in unique Festivals of vocal music (Abu Gosh, Nazareth, and more). "The New Israeli Chamber Ensemble" has achieved a reputation as the best of its kind in Israel. Maestro Canetti is Honorary Professor of The Indianapolis University and guest Professor of the Lvov Music Academy. He has been giving Master Classes in violin and chamber music in world known music academies and Music Festivals: Jerusalem Music Academy, Moscow conservatory, Paris - Boulogne Conservatoire, Brussels Conservatoire, Saint-Petersburg Conservatory, Lithuania Music Academy, University of Arts in Seoul- Korea, College of Arts in Tainan- Taiwan, Indianapolis University in Athens ,Music Academy in Riga- Latvia, Shanghai and Beijing conservatories , Athens Music Consevatory, Magnitogorsk Music Academy, Tokyo Spring Music Festival, Musicalta (France), Kazakhstan (Astana) Music Festival etc. Orchestras with whom Canetti has worked with include : "Hermitage Orchestra"-Saint Petersburg, Moscow Chamber Orchestra,Lisbon " Metropolitan" Orchestra, Korea "Euro-Asian" Orchestra, Patras (Greece) Chamber Orchestra, Riga Philharmonic Orchestra , Vilnius Chamber Orchestra, Novosibirsk Philharmonic Orchestra , "Academy of soloists" Kazakhstan Orchestra, Moscow Chamber Orchestra of Slobodkin Centre, Mexico Carlos Chavez Orchestra , Antalya State Symphony Orchestra , Moscow Conservatory Symphony and Chamber Orchestra , Soloists of Israeli Chamber Orchestra,Rousse Philpharmonic Orchestra (Bulgaria) etc. Maestro Canetti is The President of The Canetti Foundation, which helps make contacts and exchange of musicians. As a relative of the famous writer Elias Canetti, who was born in Rousse (Bulgaria), Robert Canetti and The Canetti Foundation have a mutual cultural program with Bulgaria and bulgarian musicians.